Although not the most common, black mold is classified to be one of the most dangerous types of molds. As it is most frequently found in the dark, undisturbed areas, these places can include rarely-used shower stalls, behind the walls, in the attic, crawlspaces, and underneath staircases. In order to avoid these uninvited, dangerous inhabitants, be sure to check these areas every now and then in addition to keeping moisture levels to a minimum. 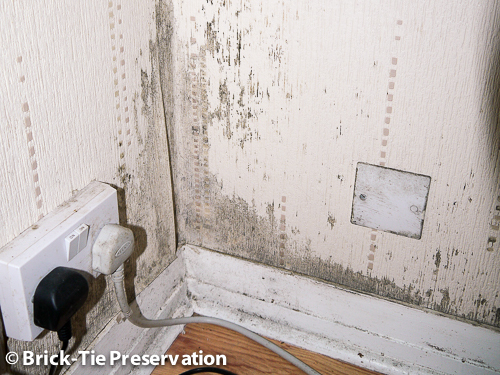 Mold will thrive anywhere there is an optimal amount of moisture and porous materials to feast on. These conditions can include a leaking roof, leaking pipes, wet or damp areas of the basement and crawlspaces, flooding, or any path of moisture from the kitchen pipes to the basement. Even leaving damp towels on the floor is sufficient for mold growth. Although mold prefers to remain in undisturbed areas, it will release its spores when feeling the slightest disturbance. These can include vibrations within the walls and floors when people are walking around on the above floor. When these spores are dispersed into the air, they can then enter the ventilation systems, such as the air ducts and air conditioning unit. Once they are inhaled, this is where the symptoms of coughing, wheezing, sneezing, etc. will start to take effect. Once the source of the mold has developed in a certain area, it has the ability to eat away at its host; this can cause severe damage to the structural integrity of your property. Potential signs can include damaged hardwood floors, discoloration of the walls and ceilings, or condensation on the windows and walls. It can also be associated with a strong, musty odor. Those who are most sensitive to strong smells will notice this right away. As soon as you notice signs of mold, be sure to look in all places to find where it may be hiding. You can also call ServiceMaster Recovery Services for professional mold removal services to inspect, remediate, and prevent it from occurring in the future. The technicians have years of experience and ongoing training to ensure their services are updated and the most effective. You can also visit ServiceMaster Recovery Services on how to prevent future mold damage by preventing water damage. Usually the most cases of mold start with water damage. Check out these tips in order to properly protect your home from becoming severely damaged.